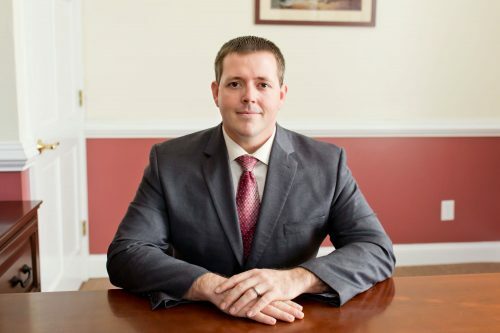 File photo : Publicity – Nelson County Commonwealth’s Attorney Daniel Rutherford (pictured above) announced that on May 29, 2018, Otis L. Knapp, Jr. pled guilty to one count of racketeering as well as several counts of drug distribution, possession, and a firearm charge. Tuesday afternoon Nelson County Commonwealth’s Attorney Daniel Rutherford announced that on May 29, 2018, Otis L. Knapp, Jr. pled guilty to one count of racketeering as well as several counts of drug distribution, possession, and a firearm charge. This case is a continuation of the vigorous prosecution of those who distribute large amounts of methamphetamine in Nelson County. From December 2015 until March 2016, Mr. Knapp would transport over one pound of methamphetamine per month from Atlanta, GA to the Central Virginia area and then distributed methamphetamine to individuals in Nelson and the surrounding counties. The sentencing for Otis L. Knapp, Jr. will occur on October 15, 2018 at 3:00 p.m. These charges stem from a lengthy investigation by the Virginia State Police and the Skyline Task Force, which is composed of investigators from the Nelson County Sheriff’s Office, Waynesboro Police Department, Staunton Police Department, Augusta County Sheriff’s Office, and Virginia State Police Bureau of Criminal Investigation’s Appomattox Field Office.